Hi, I'm a Scunthorpe United fan currently living and working in London. When I lived up north I went to most home games and a few away games. So, to make up for all the games I missing I started to go a new ground every weekend. The aim of this blog is to show people different grounds in and around London. Also, as I can't drive the blog will tell people how easy it is to get to grounds using public transport. If you're anything like me you're attracted to grounds at the end of the line (i.e. Clacton, Harwich and Parkstone, Marlow, etc) and the second game of my Welsh weekend provided a chance to add to this list at Holyhead Hotspur. The last time I'd been on Anglesey was on a family holiday many years ago and I have many good memories of the place - aside from the time the whole island was engulfed by jellyfish. 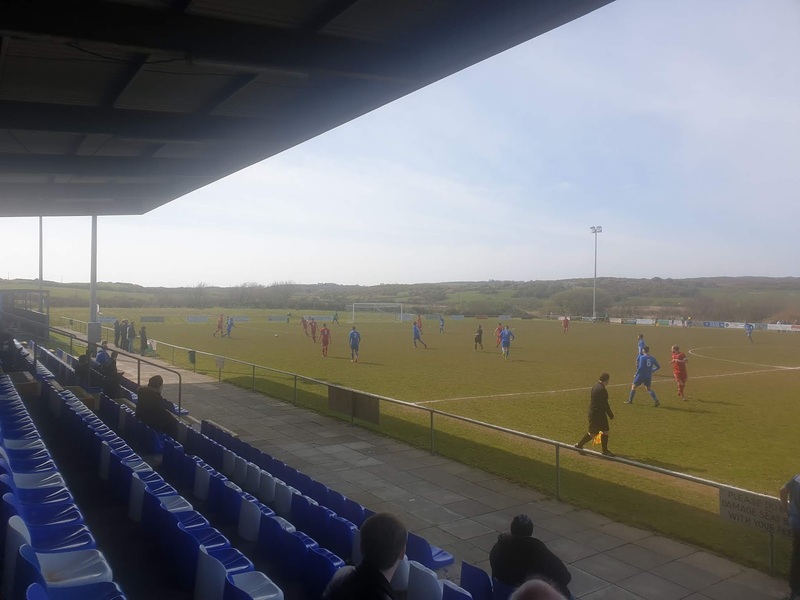 It had not been a good season for Holyhead with their relegation from The Cymru Alliance already confirmed although they had won three of the last four before this afternoon and also had the league cup final to look forward to. 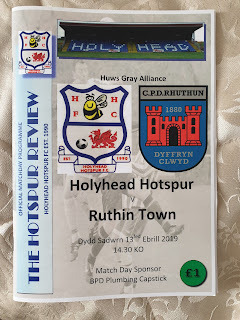 Today's visitors were Ruthin Town were comfortably in mid table but had lost on their two previous visits to The New Oval in The League and Welsh cups. 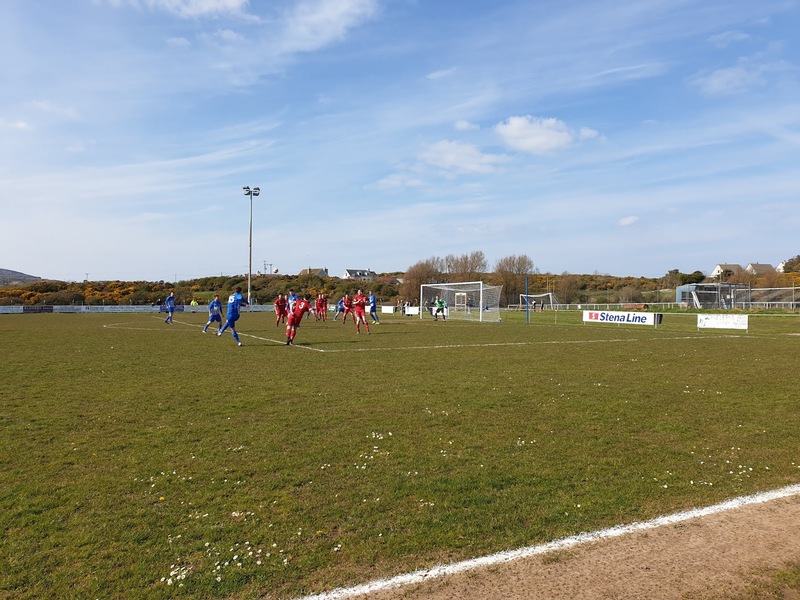 The two sides only meet the previous in the league with Holyhead winning 4-2. 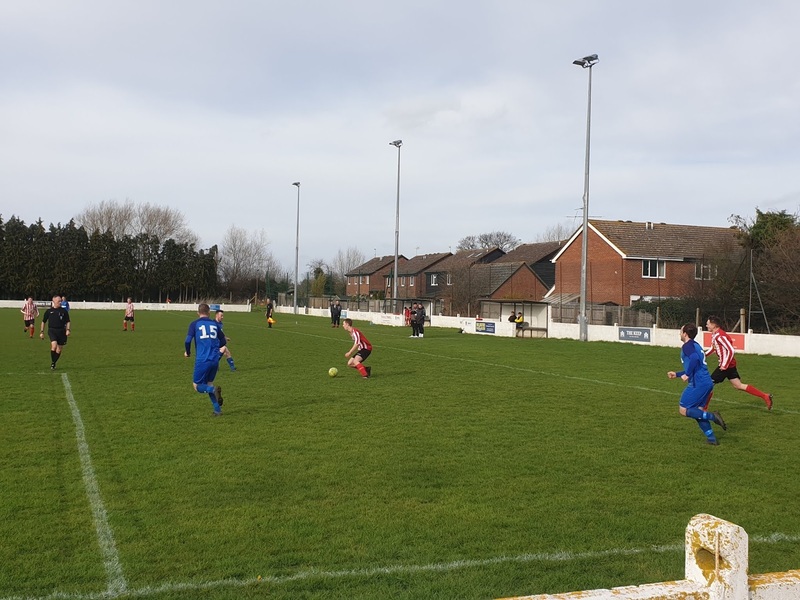 It doen't take long for Ruthin to take the lead in this fixture with them being played in right down the middle and they take full advantage going one up. Holyhead don't let their heads drop and they are soon level. 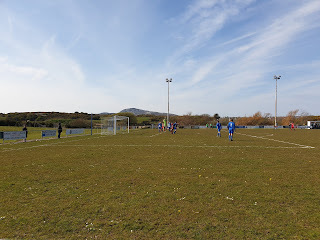 The Holyhead attacker gets the byline before squaring the ball to his team who gets the ball over the line for the equaliser. Ruthin sky a chance just before they are awarded a penalty for a push and the spot is duly dispatched to restore the visitor's lead. 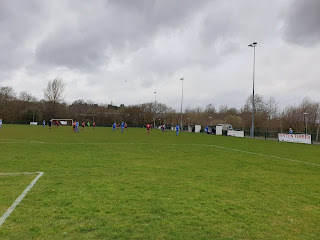 Before half time Ruthin have a good chance to extend their advantage but the Holyhead keeper makes a good save after the forward muscles his way through. 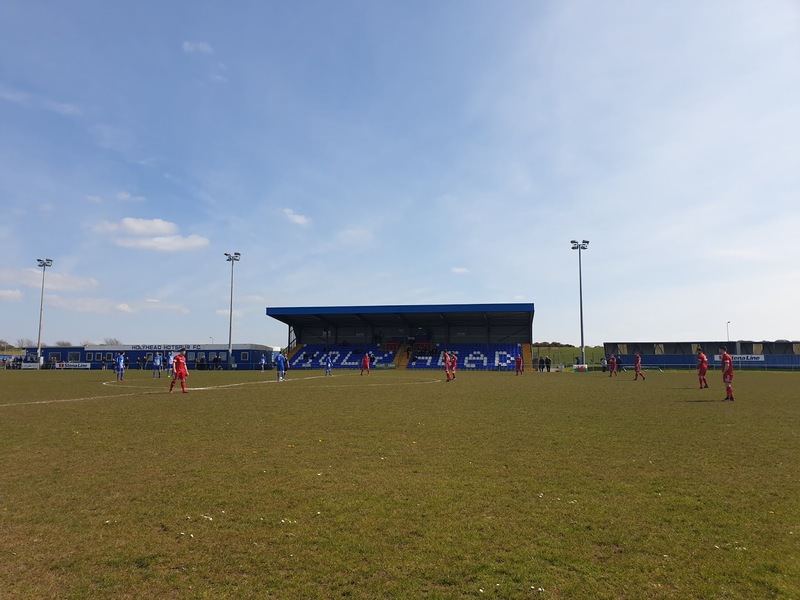 Holyhead nearly create a great chance at the start of the second period and it takes a last minute touch from a Ruthin defender to take a pull back away from the attacker. It is Ruthin's turn to come close as a bouncing header from a free kick hits the foot of the post. 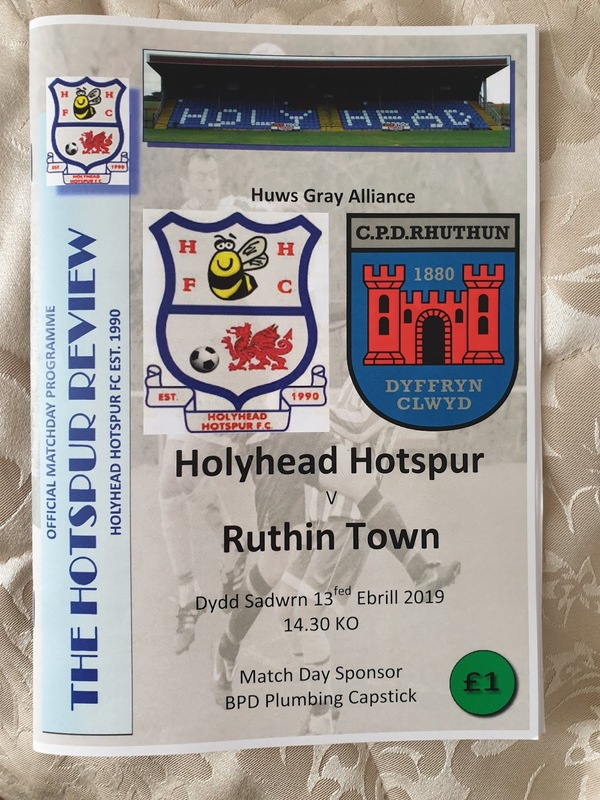 The rest of the game then has a bit of an end of season feeling with the main talking point being how the Ruthin keeper doesn't see red for shoving a Holyhead player but The Harbourmen can now focus on The League Cup final next weekend. 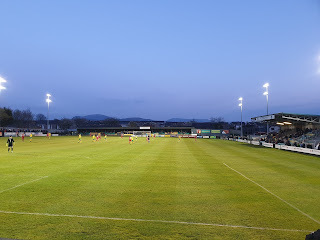 There are occasional trains direct from London to Holyhead which take around four hours but as with Bangor, it is more likely that you will have to change at Chester. Holyhead is a pleasant town and the Maritime Museum was sadly closed. There wasn't too much in the way of ale on offer in the town but The Albert Vaults and The Skerries are good for the sports channels. I had a good dinner at The Stanley Arms and if you do elect to stay over then The Haven is a friendly B and B in a great location. The New Oval is a twenty five minute walk from the town and you are guaranteed a friendly welcome. 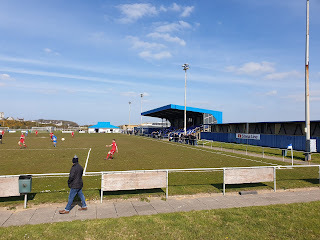 The clubhouse had the usual selection of drinks and as it the was the last home match of the season they had run out of hot food but the menu looked good. A great end to the weekend venture and I will be back in North Wales in the near future. After really enjoying my trip to North Wales and needing something to work towards, I was keen to book another trip to Wales. 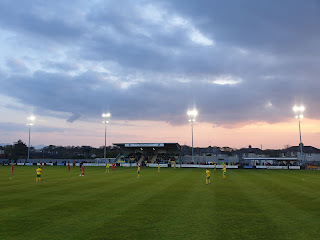 This time my trip started at Caernarfon just a short distance from the last stop last year at Bangor. 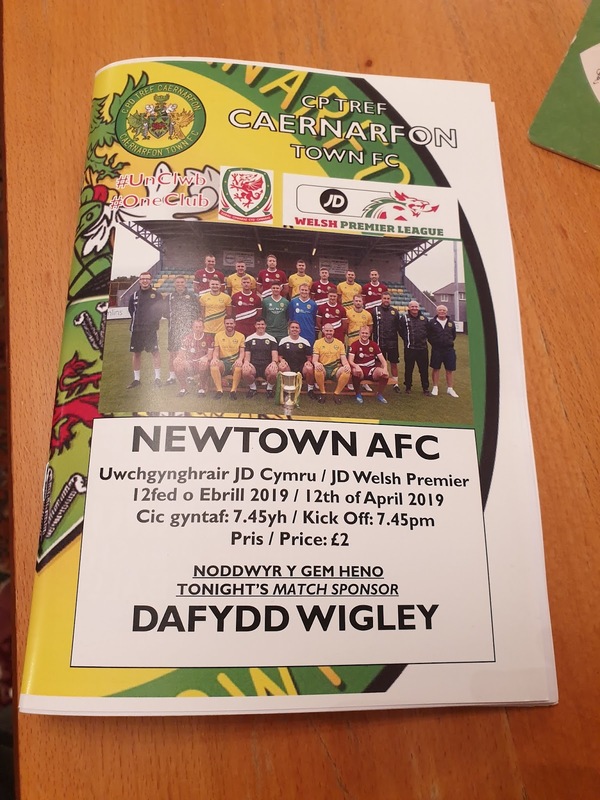 The Welsh Premier League is good for Friday night games and this Friday Caernarfon were hosting Newtown who had beaten tonight's hosts three times already in the league this season but despite this the two sides were level on points in the table. 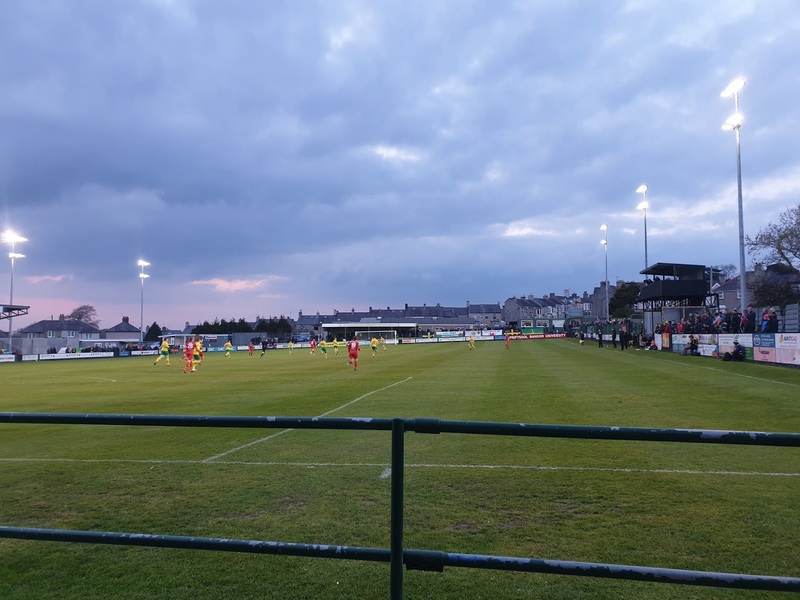 This was Caernarfon's first season back in The Premier League after winning The Cymru Alliance (more on that league in my next post) and had made a strong return sitting in fifth. 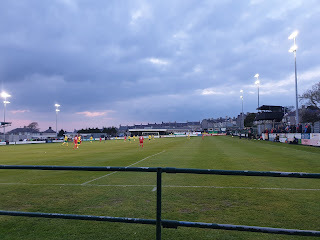 The match has a very end of season feel to it but despite this Caernarfon take the lead when the forward is played before he rounds the keeper, rolling the ball into the empty net to send the vocal home support into raptures. Newtown has a good shout for a penalty as the attacker is bundled down in the box but the referee is not interested. Then in a moment which would be replayed at the start of the second half, Caernarfon score while I'm in the toilet. 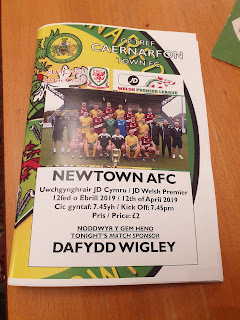 Caernarfon get the assumed third just after the break and they soon get the fourth when the Newtown keeper does well to save a one on one chance but the rebound is hammered in to make it four nil. 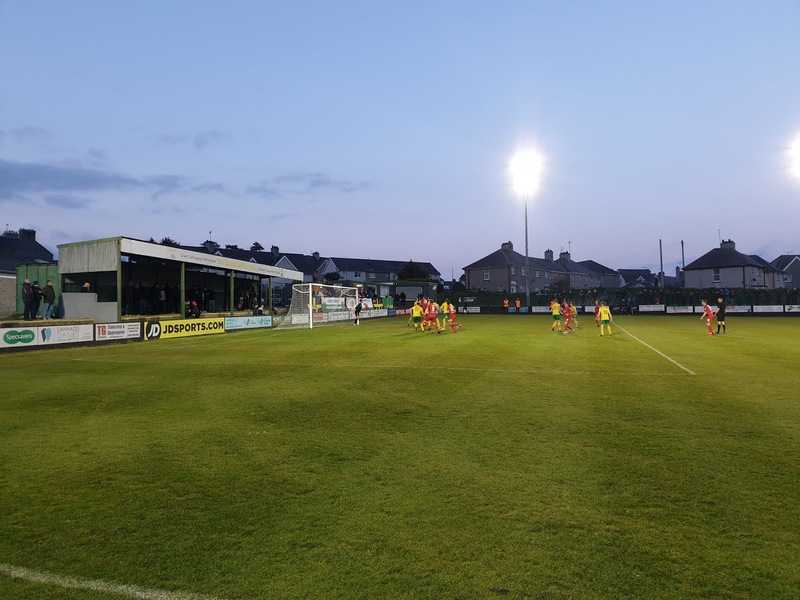 Late in the second half Newtown have a couple of chances, firstly the Caernarfon defence does well to block a close range shot before the Caernarfon keeper tips over a dipping effort. 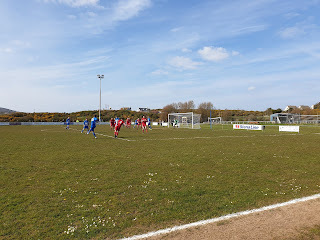 Then from the resulting corner Newtown get their consolation goal when the ball is forced home from close range. It takes a very long time to get to Caernarfon from London. There are the occasional direct trains to Bangor but it is more likely that you'll have to get a train to Chester from Euston and change there for a train to Bangor which takes about three and a bit hours. Then from outside the station you can take the 5C bus into the town square. There is enough in Caernarfon to warrant a stop over and I'm glad I stayed for a couple of nights which allowed a look at the castle and general wander around the impressive town. Pub wise, if you want to eat and have a great view of the water then The Anglesey Arms is brilliant. If you want local ales and beers then both The Black Boy Inn and Bar Bach (apparently the smallest bar in Wales) both have impressive selections. If you want to watch an early kick off then The Palace Vaults on the square and The Eagles Hotel both have the sports channels. The ground is an easy ten minute walk from the centre and I think the section of the clubhouse outside the ground has the sports channels but there was the standard choice of drinks on both sides. 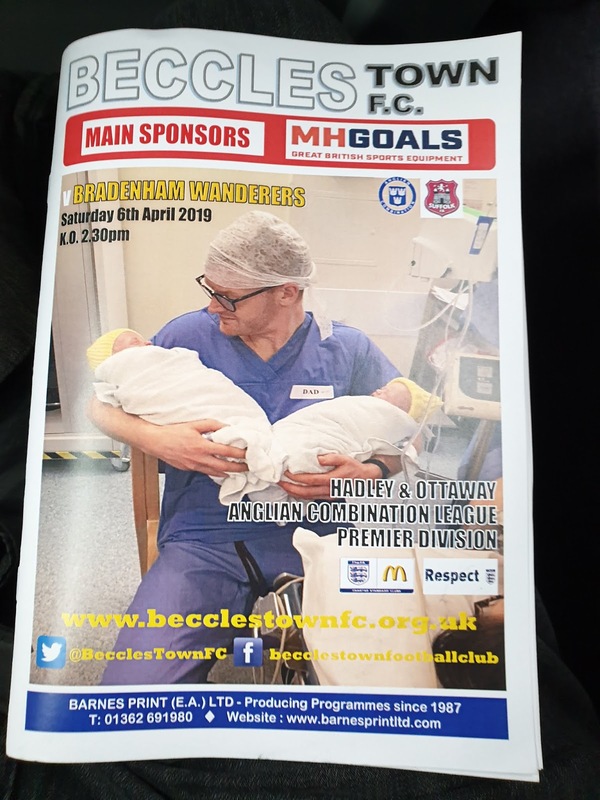 Word of warning for programme collectors, there only seemed to be a small number printed so I'd recommend getting there early if you want one. 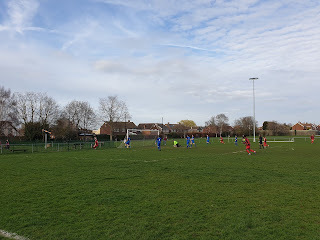 I'd been meaning to see a game in the Anglian Combination for a long time but regular works on the line out of Liverpool Street had reduced the opportunities to head out east. 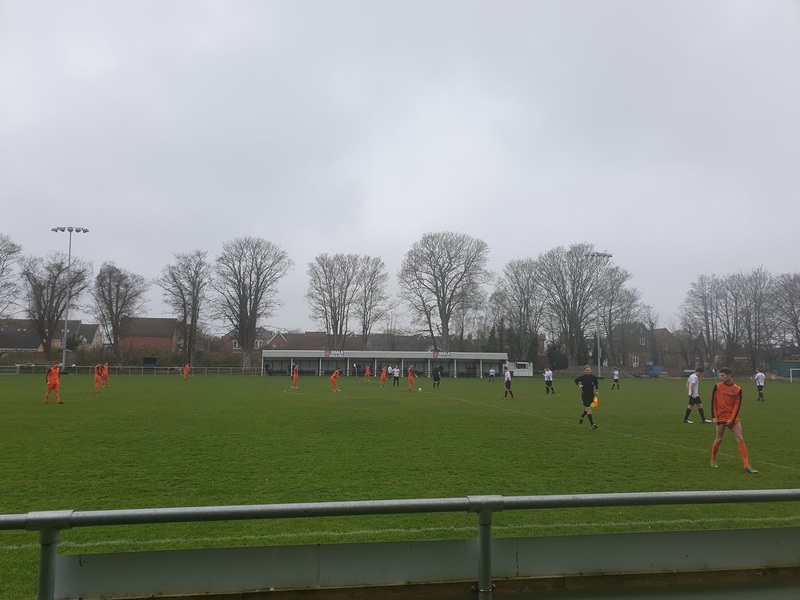 There was a break in the works this weekend and so I headed into deepest darkest Suffolk for Beccles Town against Bradenham Wanderers. 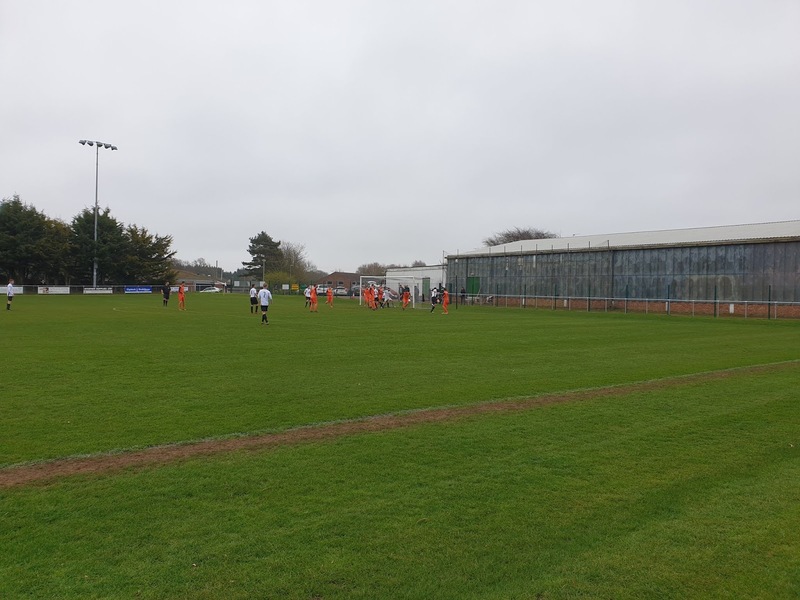 The first I saw of Beccles Town was the back of the stand while travelling to Lowestoft for a Ryman League game years ago and I always wanted to come back. In all honesty I didn't even know where Bradenham was but after looking at the map, I had been pretty close to it when I've visited Dereham and Swaffham. Both sides were just below mid table and the reverse fixture ended 3-2 to Bradenham so I was opening for a similar amount of goalmouth action. 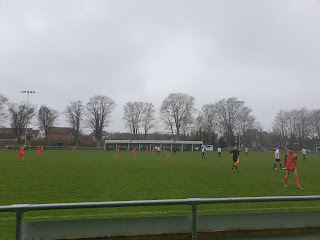 Bradenham begin work on this early on as they force the ball over the line from a corner although it requires confirmation from the linesman. 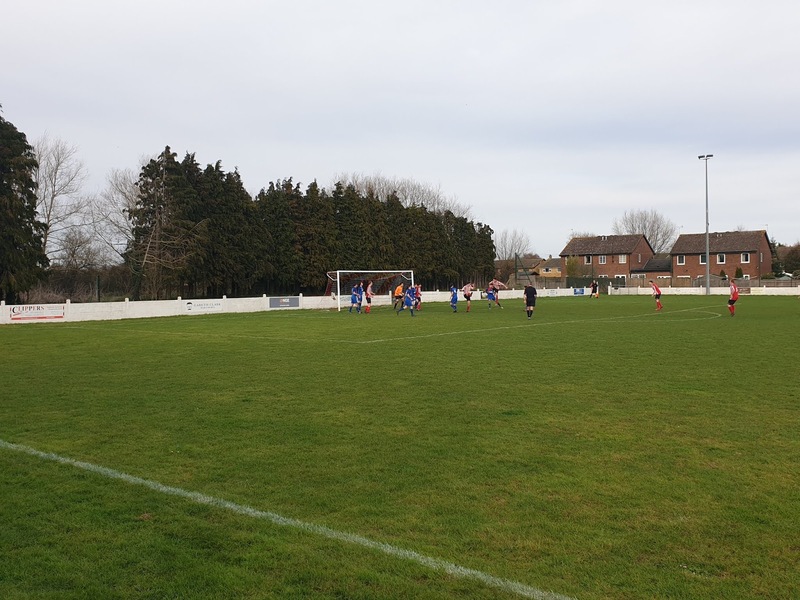 Bradenham continue to push for the second but they are caught out with a goal from a set piece as a corner is headed in at the near post. Moments later and Bradenham are all of a sudden behind. A long ball is sent forward which the attacker beats the keeper to, to poke his side into the lead. The hosts almost go further ahead when the Bradenham keeper misjudges a bouncing ball but Beccles can't force the loose ball home. 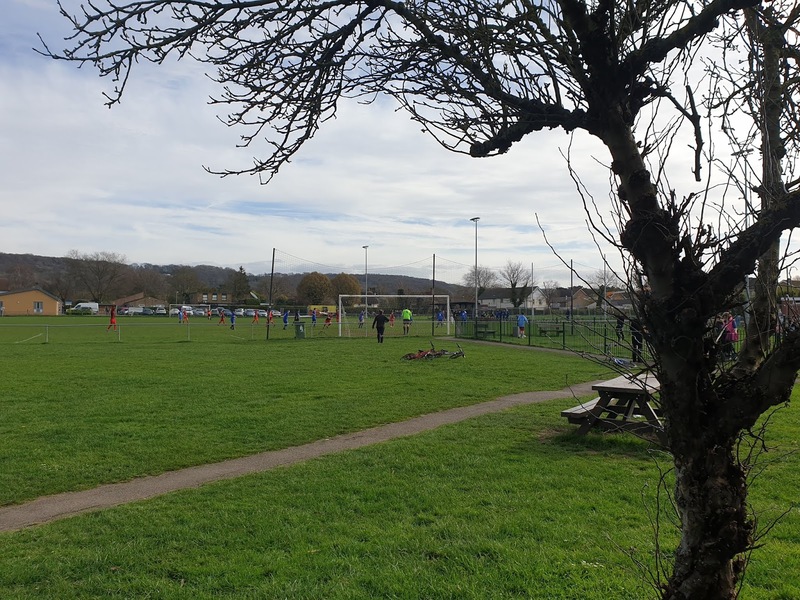 The see saw nature of the game continues as Bradenham get back on level terms as I'm taking my money out for the raffle. 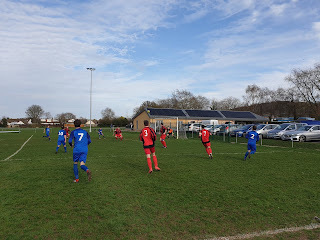 I do minutes later however see the Bradenham player go down in the box which forces the referee to award a penalty. 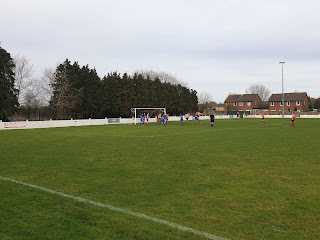 The spot kick is dispatched and Bradenham end a topsy turvy half three two up. Bradenham come out not wanting to let the lead slip away again and the Beccles keeper has to make a great save to keep an early chance out. 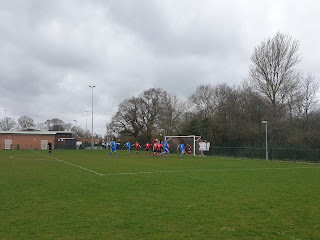 Bradenham do extend their lead with the goal of the game. 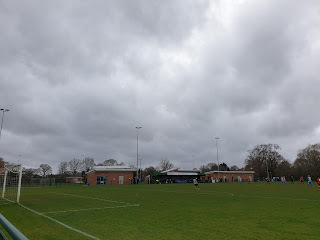 The visitors get in on goal which the Beccles keeper does well again to save this effort but the looping ball falls to the Bradenham player some twenty plus yards out and he smashes the ball in to make it four two. 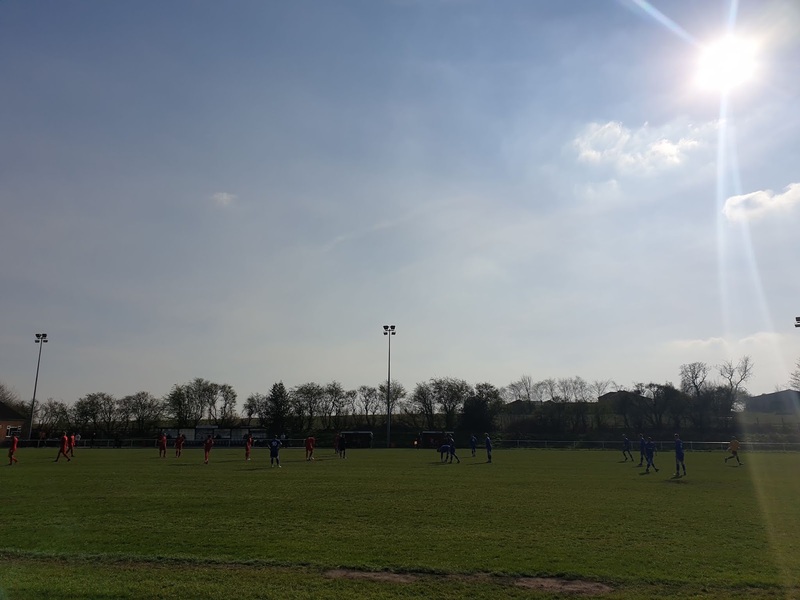 Bradenham get their fifth in less spectacular style as a shot from the edge of the box is deflected past the stranded goalie. Beccles begin to finally get at Bradenham when the visiting keeper makes a great save from a free header. They come close again with another header that is time headed off the line. 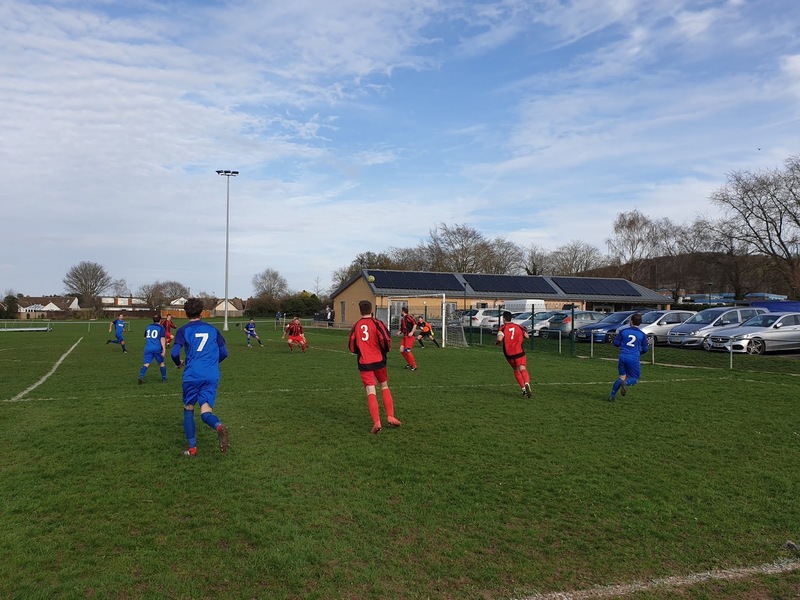 Bradenham get a late sixth to complete a brilliant introduction to the Anglian Combination. It's a long old trip to Beccles which starts with a train from Liverpool Street to Ipswich and changing there for the train to Beccles and in total this takes around two and a half hours. It really is worth it however, the town centre is worth exploring and you can see the church where Nelson's parents married. If this doesn't grab you then The Butchers Arms a short walk from the town centre with a choice of ales certainly will. If you'd rather watch the early kick off then The Caxton Arms is a good shout. 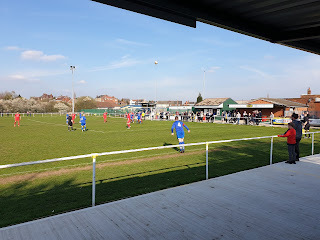 The ground is less than five minutes from the platform and you have a bit of a view of the pitch from the footbridge. The bar at the sports club had the sports channels as well as a broader than usual selection of beers. 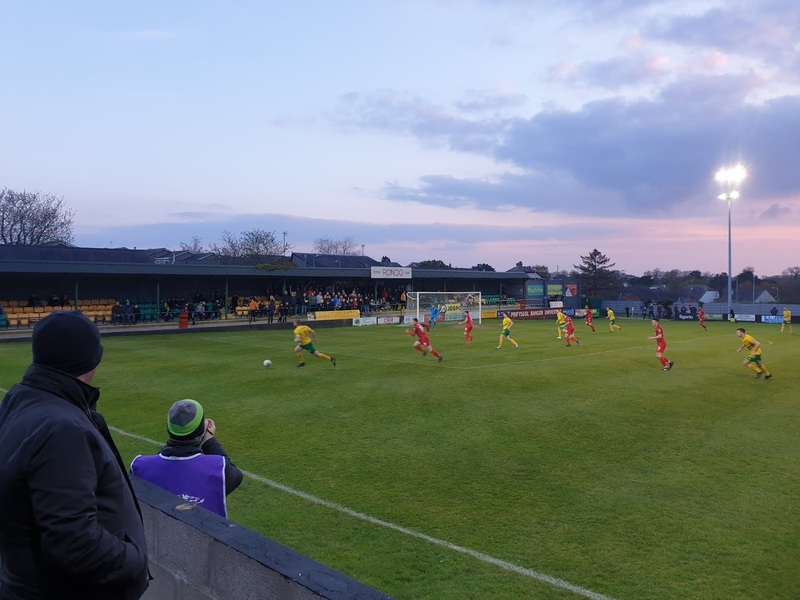 From contacting them on Twitter to speaking to people at the ground, everyone was very friendly and I cannot recommend the trip enough. 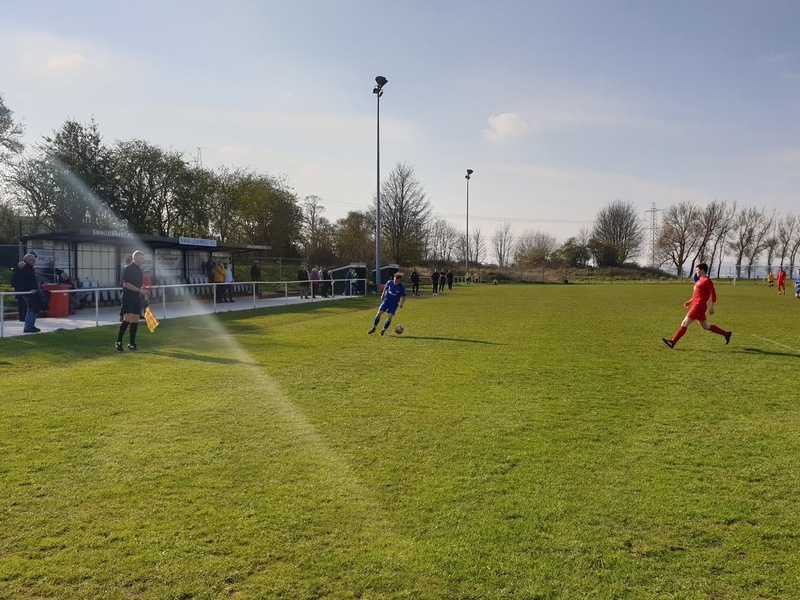 I had my sister's wedding up north this weekend and this meant it'd be the standard North East Counties or Central Midlands League match on the Saturday. 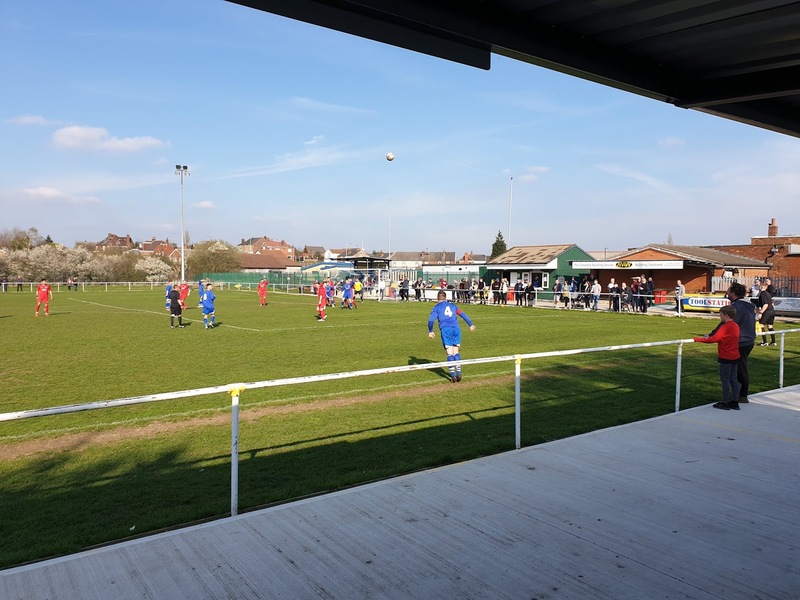 It was a choice between Swallownest in the NCEL or Retford in the CMFL with the former winning, leaving the later for a midway meet up with my Dad in the future. 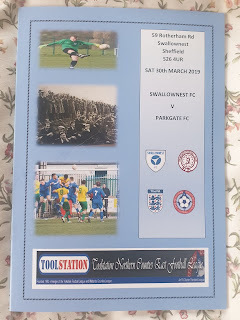 The game at Swallownest also had the appeal of being a derby with visitors Parkgate being based a mere eight miles away. Both sides were having average seasons, sitting right next to each other in midtable with Swallownest winning the reverse fixture three one. 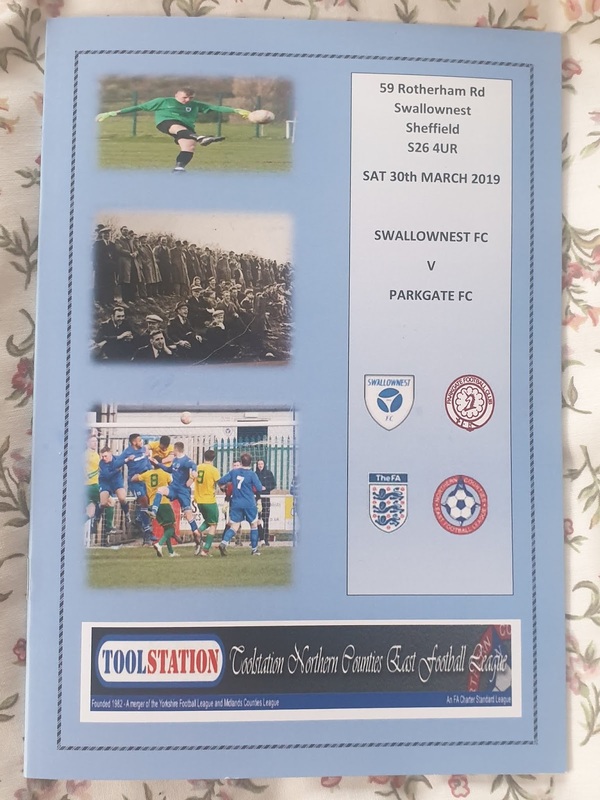 This is only Swallownest's second season at this level following promotion from The Sheffield and Hallamshire League and they look well at home on and off the pitch. As the headline suggests the game isn't the most thrilling. 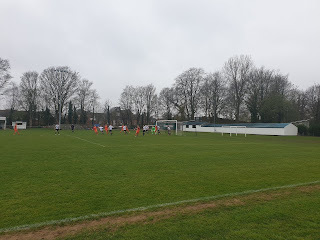 Swallownest best chance of the half comes when the forward is found in space in the box but his header is straight at the keeper. 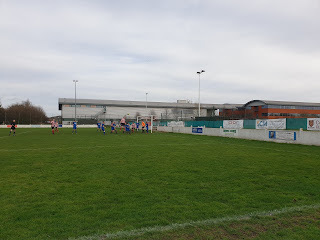 Parkgate have a couple chances without failing to seriously to trouble the Swallownest keeper as the half ends goaless. 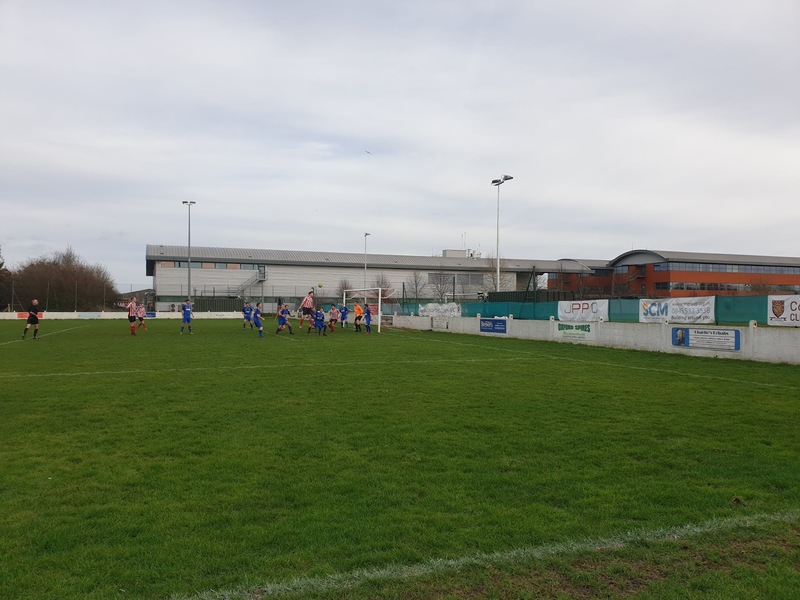 Parkgate come close at the start of the second with a header from a free kick that is well saved. Then from the resulting corner comes the match winning moment. The corner is put right into the six yard box and is inexplicably put into his own net by the Swallownest defender. The best chance for an equaliser is when the forward is put in with a long pass but his shot goes wide. To get to Swallownest from London you need to take a train from St Pancras to Sheffield which takes a little over two hours. Then from the interchange across the road from the station you can take one of the X5, X54 or X55 into Swallownest in about twenty minutes. We were travelling in the car so stopped off at The Yellow Lion which is just off the motorway and had a couple of ales. The best pub of the day was The Robin Hood which had a selection of ales and served good looking food. The clubhouse had a good selection of beers as well as the sports channels. 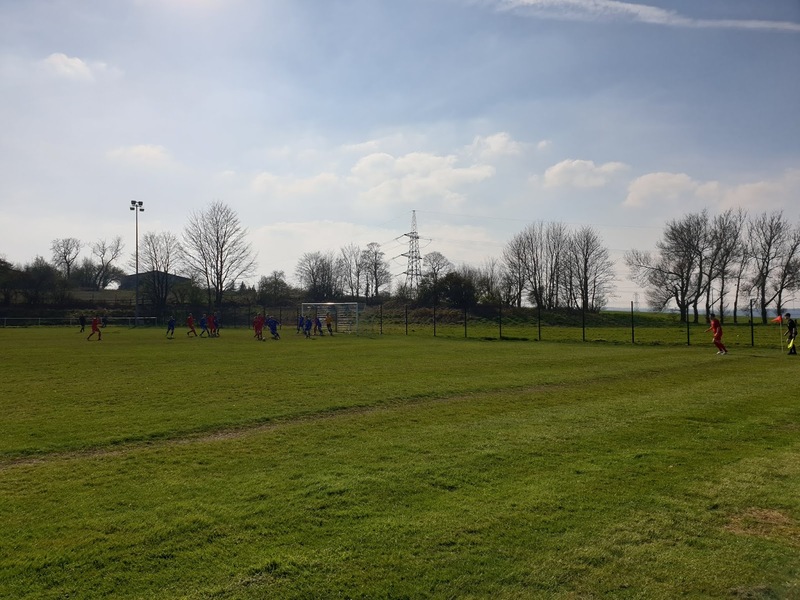 Everyone at the club was very welcoming and it looks like all the hard work they've put into the ground and set up in general is really paying off. Recently I've been trying to get around to visiting clubs who tweeted me back on bad weather days but I ended up elsewhere. 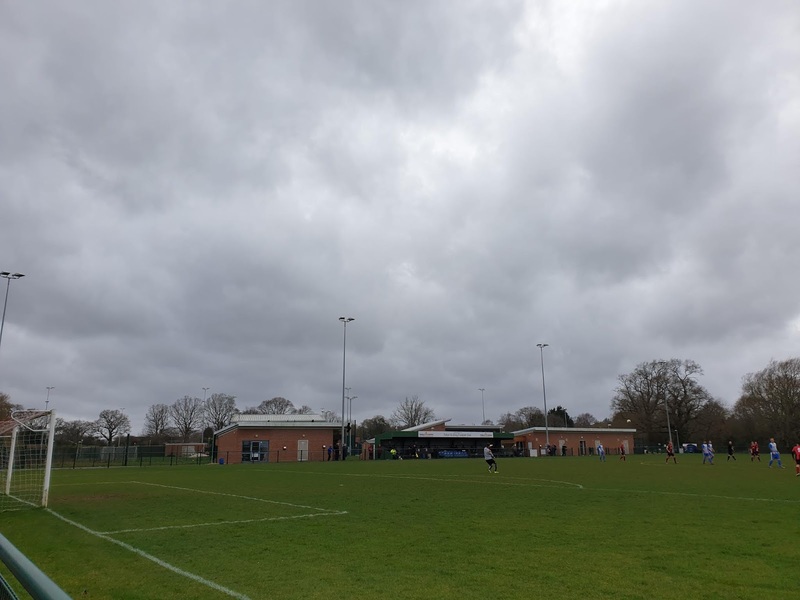 Latest on this list were Chinnor who today were hosting Penn and Tylers Green in The Hellenic League Division One East. 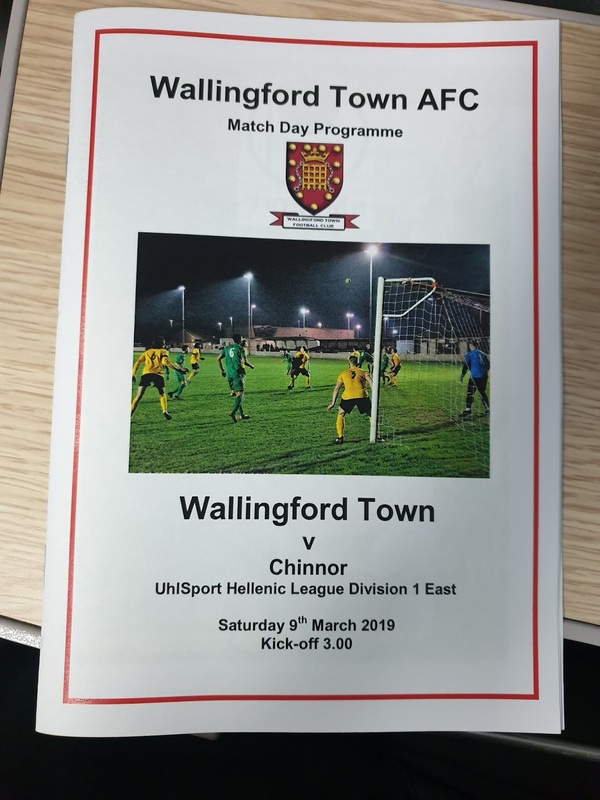 A couple of weeks back I saw Chinnor just lose 4-3 at Wallingford and they would need another big effort to claim anything against mid table Penn and Tyler Green. 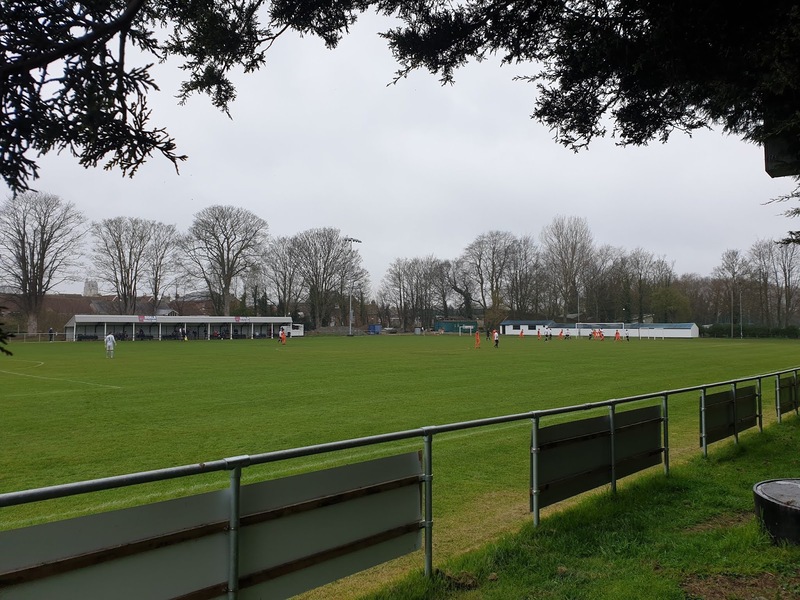 Today's visitors have been forced to play at Amersham this season after their clown local council rejected their application for floodlights on some pathetic grounds. Which is a real shame as French School Meadows and the village itself is a really great place to visit. Chinnor come to taking an early lead as a low, hard shot is well saved by the Penn keeper. It doesn't take long for Penn to take the lead though when a ball across goal is tapped in from close range. The visitors get the second as the attacker is able to lash the ball in at the near post. Penn look they are going to run away with it, this time the forward is left to tap the ball in from close range after the Chinnor keeper loses the ball. 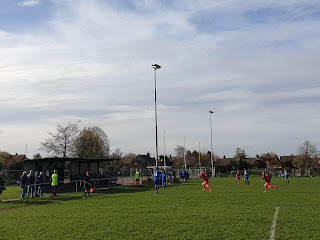 Just the like the other week at Wallingford, Chinnor don't give up and they get back into the game when a free kick isn't fully cleared allowing the forward to score with a smart finish. They get their second just before half time setting things up nicely for the second half. Sadly the second half doesn't match the first. Both teams have chances to add to their tallies and Chinnor send the keeper up for a couple of late free kicks that sadly come to nothing. 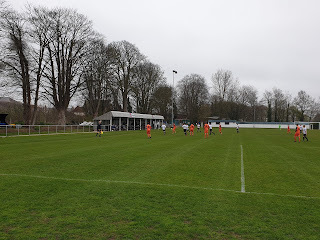 So both times I'd seen them, Chinnor had shown a lot of fight and were unlucky on both occasions to not win a point. To get to rural Oxfordshire you first need to get a train to Wycombe and then take the 40 bus from the bus station to Chinnor which takes around half an hour. If you get off the bus just after entering the village you can visit The Wheatsheaf which was welcoming and had a good beer garden which was welcome on the first proper Spring afternoon. A bit closer to the ground (and next to the bus stop for home) is The Red Lion which had a choice of ales as well as the sports channels. 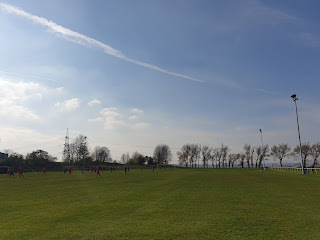 The ground had a real rural feel to it and there were a lot of red kites soaring over the pitch including one that saw something on the near touchline. 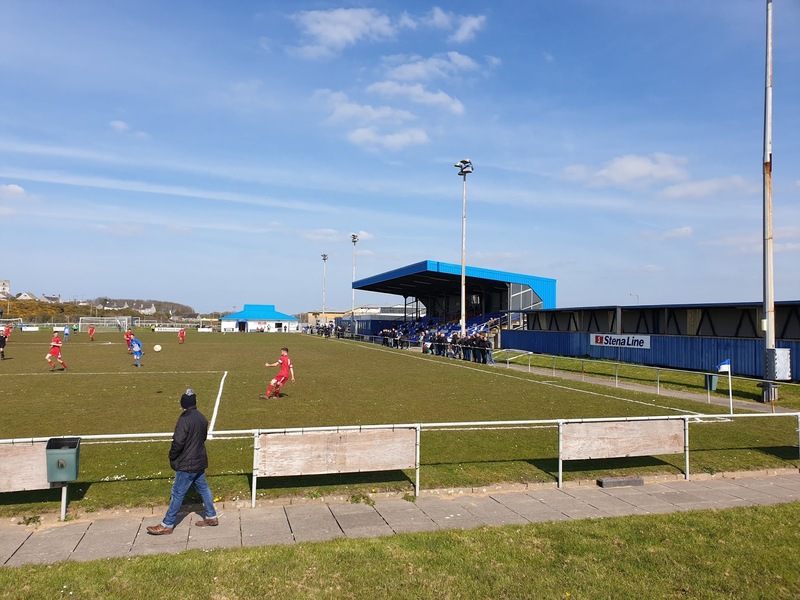 The clubhouse at the ground had the usual selection of drinks and while there were sadly no programmes it was still more than a worthwhile trip out. After seeing earlier this season that Totton and Eling were producing printed programmes I wanted to make sure I visited before May. 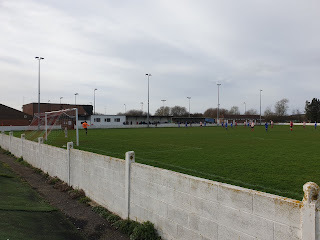 I'd also been through Totton numerous times on my to other grounds and was good to stop off. The two Totton clubs play next door to each other but today I was watching Totton and Eling who were hosting Amesbury Town who were top of the league while today's hosts were bottom. Amesbury is a pretty ground to visit and they do brilliant cakes in the clubhouse at half time. 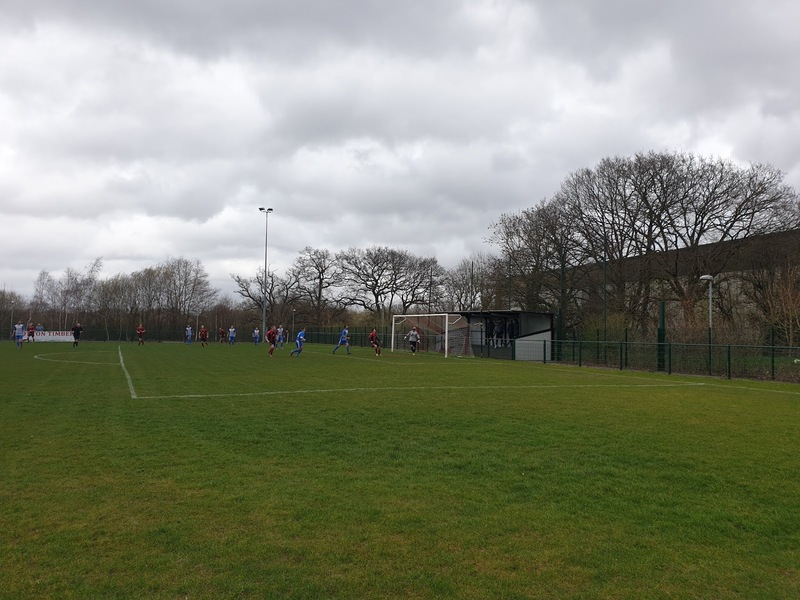 The only time I'd seen Totton and Eling play was the previous pre season when they played at Fordingbridge Turks when they won comprehensively. 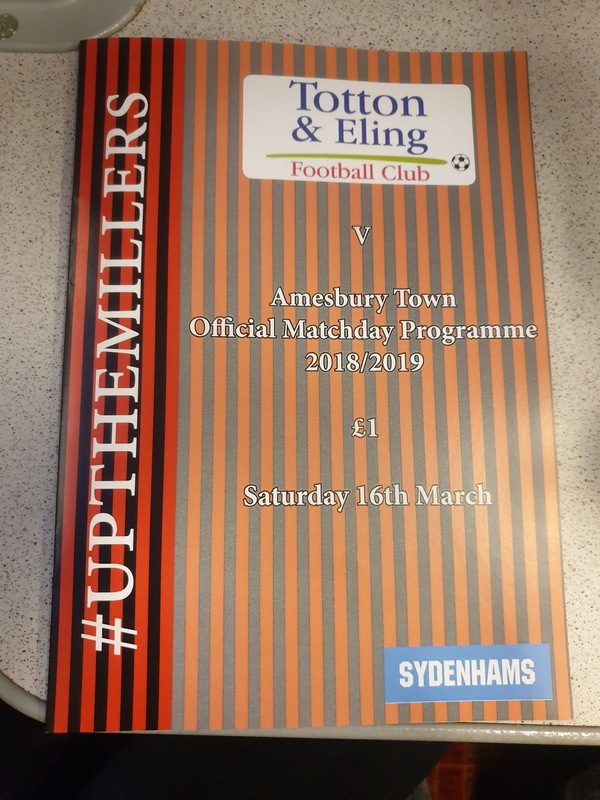 Amesbury won the reverse fixture four nil in November so Totton and Eling were hoping for better outcome this time round. 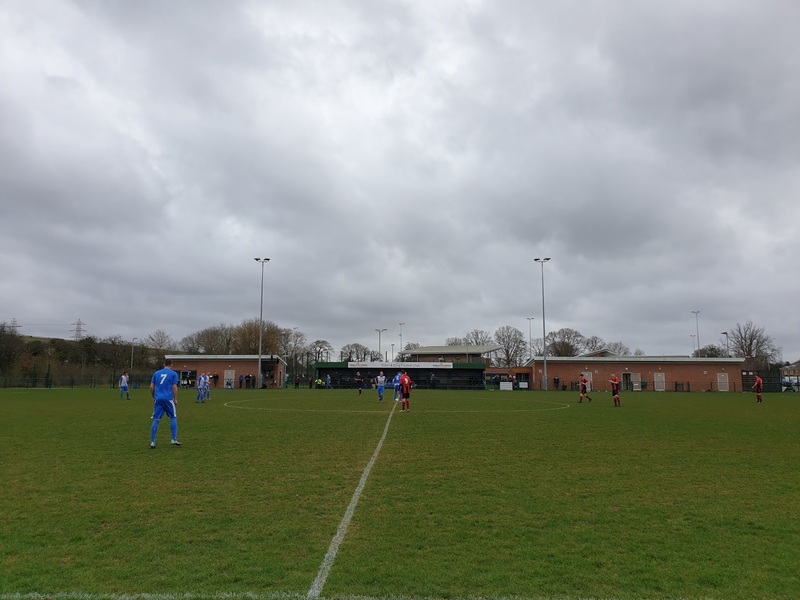 There is a very strong wind from kick off blowing across the pitch which makes playing conditions tricky but this doesn't stop Totton and Eling from making a good start. Firstly they get in behind with the ball across just eluding everyone before the wind almost assists the hosts which the visitors just deal with. 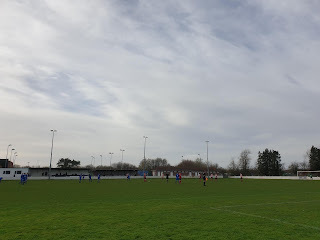 Amesbury then begin to dominate and they take the lead mid way through the half as a low bobbling shot from distance beats the keeper. Then when a Amesbury attacker gets a close range shot in following a corner the Totton and Eling keeper is forced to make a great save. In the closing stages of the half, the Totton and Eling defence are just able to clear after a scramble in the box. 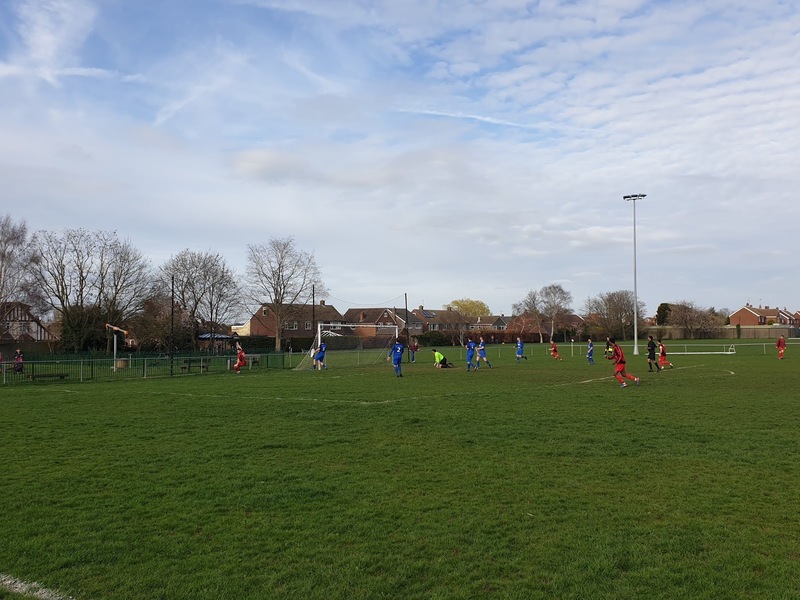 Amesbury force the Totton and Eling keeper to make another decent save early in the second half before the home side begin their best period of the game which culminates in them claiming a deserved equaliser. 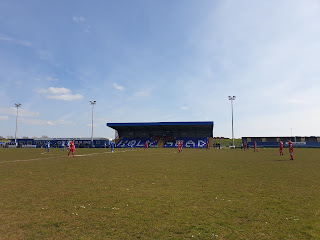 The Totton and Eling forward breaks down the flank and his ball across the six yard box is smashed in from close range to level the game. The best chance either side to win the game comes when thunderous Amesbury shot hits the bar with the keeper alert to save the rebound. 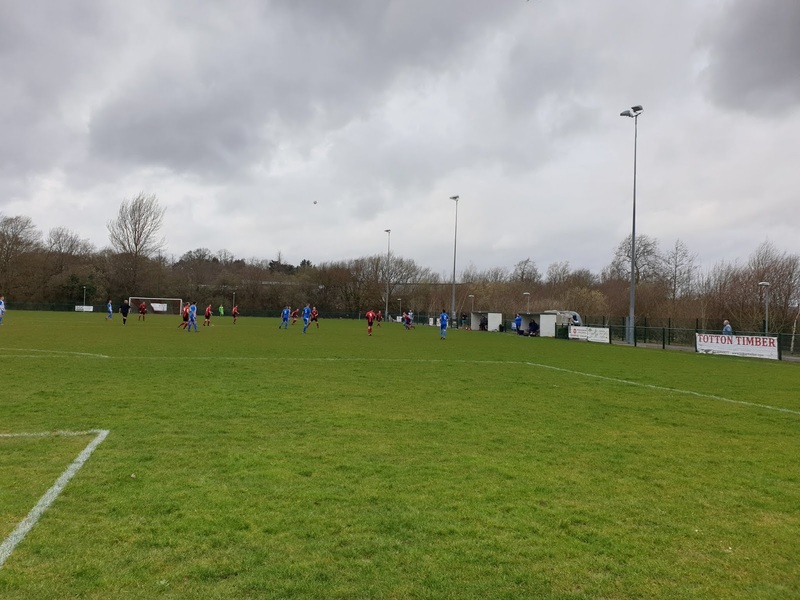 A well earned point for Totton and Eling. Assuming the trains aren't running at half speed because it's a bit breezy, the quick route - train from Waterloo to Southampton and getting the slower train from there - should take an hour and a half. There are direct trains but these take significantly longer. The best part of Totton is down by the mill, my train delays meant I couldn't go round it but it is a nice setting. Next to the mill is The Anchor which had some local ales and the garden would be great in the summer. A bit closer to the town is The Peg and Parrot which had a good choice of lager and had the sports channels. The walk to Little Testwood is about two miles but the number 12 goes from just by the station to a short distance to the ground. There is no bar at the ground so if you want a drink closer to the ground then The Testwood next to the bus stop is the best bet. The food at the ground was decent and thankfully they still did printed programmes! Free of the travel restrictions of last week I looked a little further afield to a town and ground I'd really liked the look of for a while. 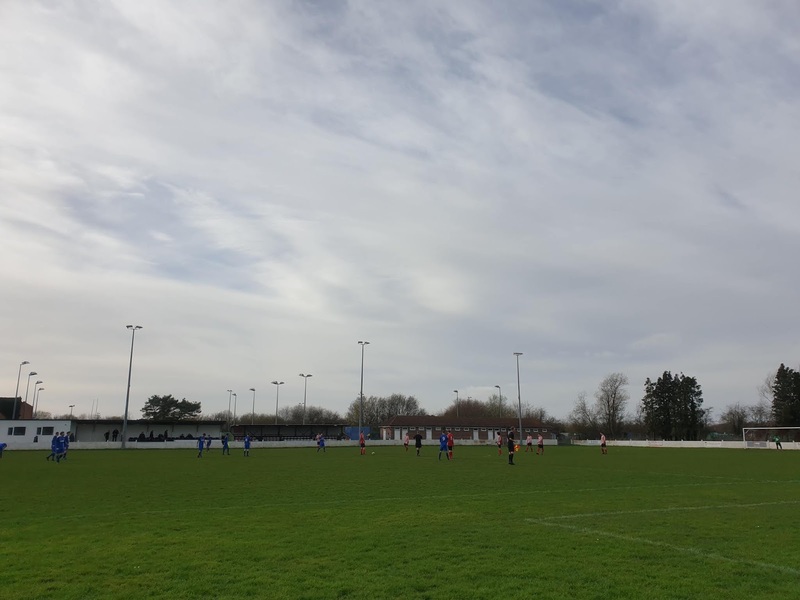 The town in question was Wallingford and today they were hosting Chinnor in The Hellenic League Division One East. The town had appealed on an aesthetic level as well as there being a lot of history in the local area which included being a royalist stronghold in The Civil War to being home for Agatha Christie. 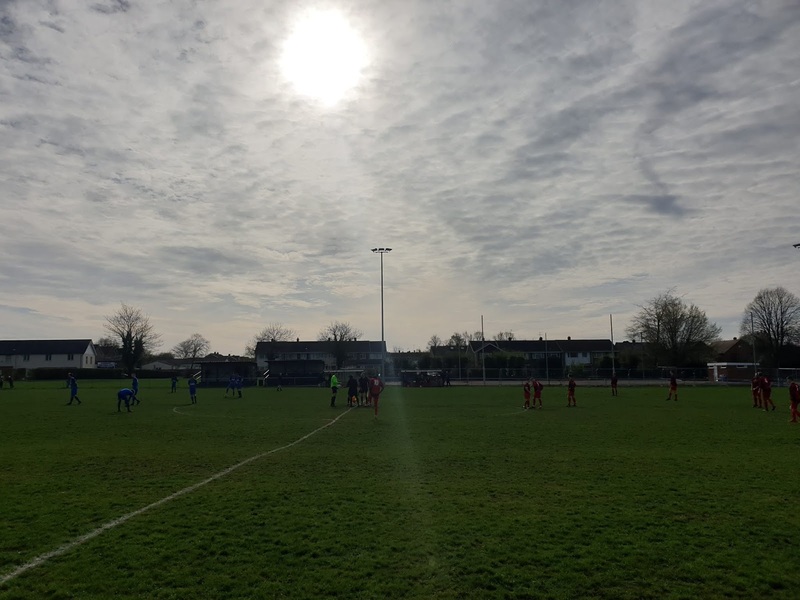 Today's game pitted mid table Wallingford against bottom placed Chinnor. The hosts were looking to bounce back following a six one drubbing at Aldermaston last time out while Chinnor were looking for just a second win of the season. Wallingford attack from the off and the Chinnor keeper makes a great save from a header at his near post. At the other end Chinnor work their way in on goal only for the chance to be skied. The hosts get the opener when the forward squares the ball, allowing his team mate to score from close range. Chinnor almost gift Wallingford the second as the Chinnor defender does well to slice the ball over his own bar. 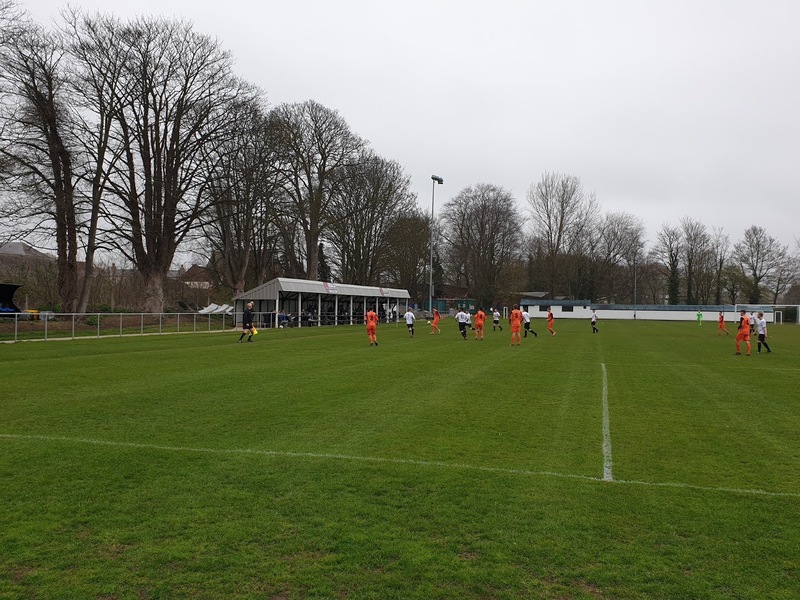 Chinnor get the equaliser they deserve from a Wallingford attack that breaks down and the Chinnor forward finishes from just outside the area. 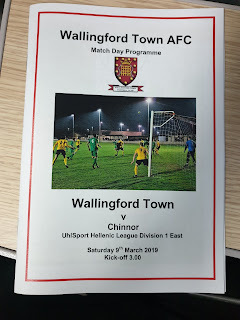 Things then go down hill for Chinnor as firstly, Wallingford get behind the visiting defence which leads to a repeat of the first goal before a poor back pass plays Wallingford in and the forward rounds the keeper and rolls the ball in. You may think that is that but Chinnor come blazing in the second period. 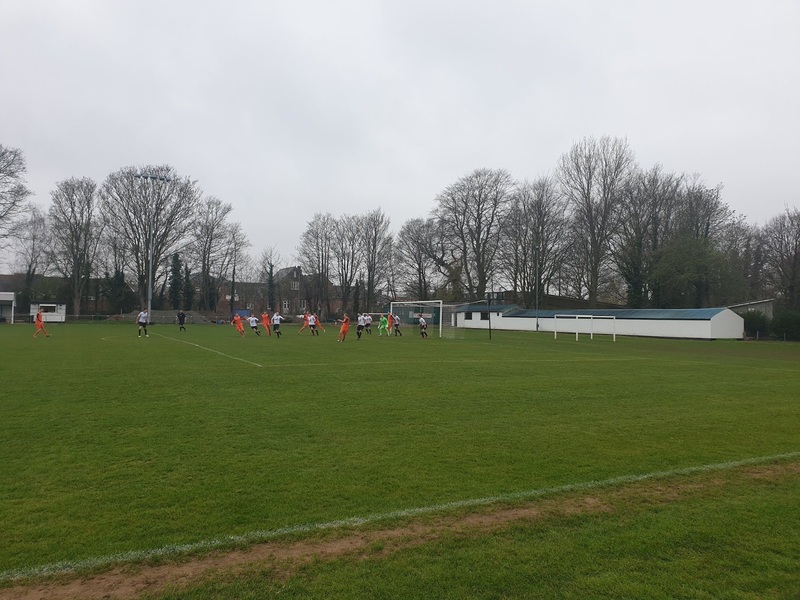 They have a couple of half chances before the Wallingford keeper spills a free kick allowing the Chinnor forward to get their second goal. They are then gifted the equaliser when another shot from distance isn't fully cleared allowing another close range finish to even things up. 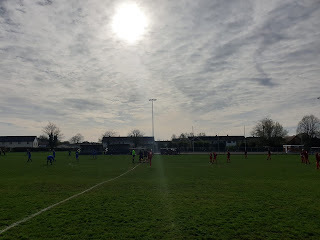 Quiet for most of the half, Wallingford finally spark up and get the fourth to retake the lead as the ball finds the forward who places the ball back across the goalie into the opposite corner. Chinnor push hard for the equaliser but Wallingford keep them out. A really great game where Chinnor really gave a decent account of themselves. Wallingford is pretty easy to reach from London. Firstly take a train to Reading from Paddington taking just over twenty minutes before taking the X40 from just outside the station into Wallingford with this section taking just over half an hour. If you get to Wallingford early enough there are the ruins of the castle to walk around as well as the excellent museum which is more than worth the five pound entry fee. Just across the road from the castle is The Keep which had a great selection of bottled beers including a couple of local ones. Then next to the river is The Town Arms which had a couple of local ales as well as the sports channels. The ground is then a fifteen minute walk from the town centre. The bar is part of the wider sports club and had the usual selection of drinks but the really good stuff is inside the ground. 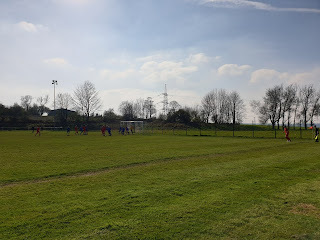 The sausage rolls and ginger cake from the tea hut were another level and completed what could have been the best afternoon of the season.